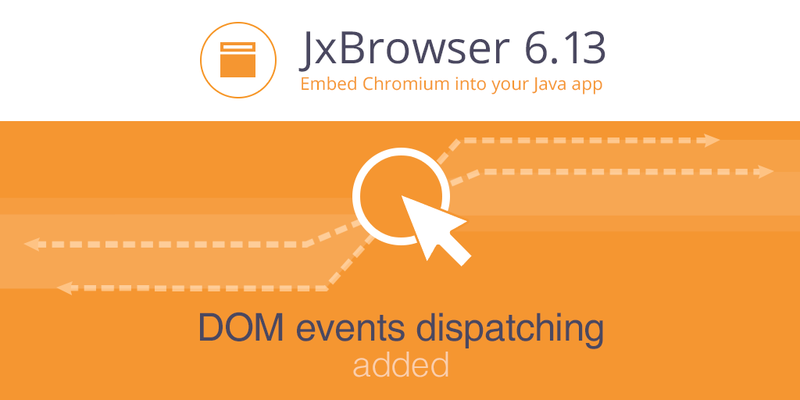 Today, we are happy to announce the release of JxBrowser 6.13. This update includes several new features such as functionality that allows programmatically triggering DOM events, and configuring WebRTC IP handling policy. Based on your feedback we keep improving the library by implementing the requested fixes. For more information on the new features please visit the Release Notes page. Please feel free to ask a question or leave your comments about the new version via support portal or under #jxbrowser tag on Stack Overflow.